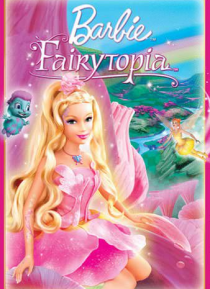 Barbie: Fairytopia features the famous doll Barbie as a fairy named Elina. One day Elina awakens to discover that all her associates have lost their ability to fly. Elina believes she can help her friends if only she can find Azura the Guardian Fairy. While on her quest she becomes involved with Laverna, who, unbeknownst to Elina, caused all of the problems in the first place as part of an attempt… to take control of Fairytopia from the Enchantress.